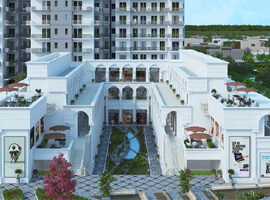 JMS buildtech launch another Commercial project in Gurgaon. 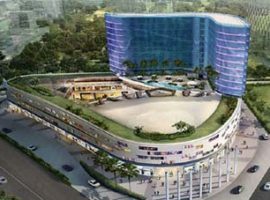 Called JMS marine square, this new commercial project by JMS group is located in sector 102 Gurgaon, on dwarka Expressway. The project is spread over 2 acres land and is surrounded by Premium residential properties from leasing developers in sector 102. 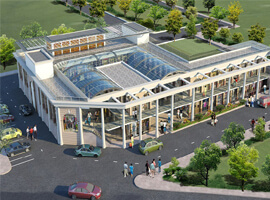 JMS marine square offers retail shops, food court, hypermarket and multiplex. JMS Developers are offering 12% assured return till Possession with bank Guarantee. Investment starts from Rs 12 lacs only and investors can choose from multiple options of payment plan. The location of JMS marine square is Unbeatable with huge frontage. book a shop in JMS marine square, contact us today! JMS Marine Square is a unique and ultra-modern commercial project comprised of high-value retail space, shopping complex, office premises, and ATM area. Surrounded by premium residential development projects, it also offers great dining restaurants, food courts, enterprise area and service apartments. The retail shops starting from 200 Sq.ft to 2000 Sq.ft offer substantial space.